The doctors had given mum until Christmas to live following a serious stroke and various other complications including vascular dementia. That was nine years ago. On hearing the news all the pieces of my life flew up in the air; writing projects on hold, teaching work reduced as I was consumed by fear and anxiety as I commuted between London and Oldham leaving my writing life behind. My Mum was going to die. The person who had always loved me so fiercely and unconditionally, seen me in the best light and provided a safe haven was disappearing. There was also a craven cowardly part of me that was afraid that she would die when I was staying over. 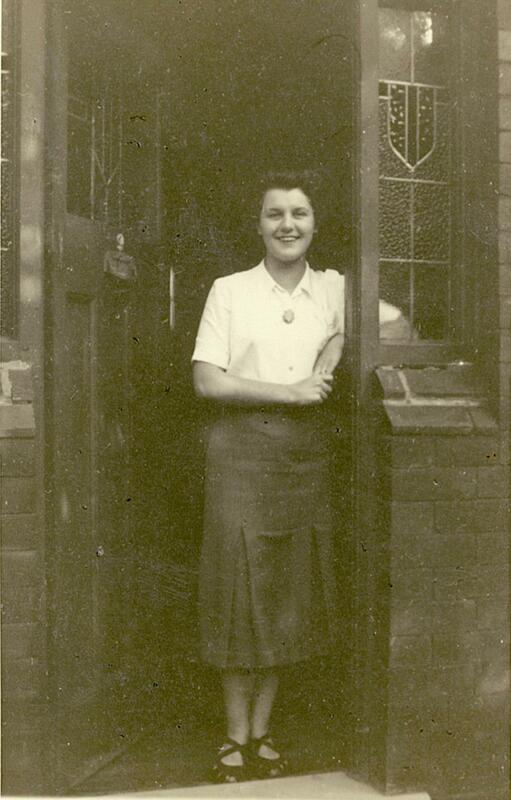 At night in Oldham I would lie awake listening to the central heating churning away (it was perpetually on) and the toilet cistern dripping, whispering to myself, ‘please don’t let her die’, until the early hours when I would get up and creep down the stairs to see if she was still breathing. Fear and anxiety had to ‘utch up in my psyche to make room for anger and fierceness as I became expert in fighting Mum’s corner and arranging social care packages. My brother, John, and I had promised her that we would not put her in a care home. The one time she was placed in respite care following a fall she was so unhappy that my brother and I kidnapped her and brought her back home. At the subsequent review meeting with social services Sooty, Mum’s fierce rescue cat, saved the day by entering the front room, meowing and placing himself on protective guard duty on the top of her chair. The stroke had effected Mum’s speech so badly that she could not speak but the words, ‘Sooty, my baby!’ rang out. Mum was allowed to stay. Oldham Council provided more help towards her care package. This package was limited and the gaps were filled in by family and friends. At times I was consumed by uncontrollable rage; at the window cleaner who robbed, the carer who never came to give Mum her pain relief but filled in the book later, or the physiotherapist with the twisted logic who stopped Mum’s therapy because she had not met her (over-ambitious) target and said we could always contact them again if Mum improved! The cutting of the community matron service was unfathomable. More often though I was humbled by the kindness of people. The carers who did care. The family and friends who visited every week. The acquaintance who volunteered to help me cut Mum’s nails (carers are not allowed to do this) and became a good friend. The chemist who would stay open to allow us to collect some emergency medication. Mum’s GP who would visit often or provide advice on the phone. The repair man who came out on Christmas morning when Mum’s hospital bed jammed. The friends who always came round to help feed Mum (feeding was not included in Mum’s care package). The staff at Pret in Manchester Piccadilly who would on several occasions give me a cup of tea on the house as I caught my train back to London. The hours spent sitting in an overheated room watching the same episode of Miss Marple over and over must have taken their toll. Frugal Husband bore the brunt of my sadness, anger and depression with patience and love. As the years went on the anxiety, rage and fear settled into an uncomfortable numbness. I stopped making plans about my writing career. I was full of ideas and never stopped writing but my confidence ebbed away. My agent had semi-retired and dropped me. It was hard to commit fully to any project as I was always just a phone call away from a medical problem, a domestic crisis or my turn on the looking-after rota. Mum was an inspiration to me. She endured pain with largely good grace and the occasional ‘bloody ‘ell.’ She never lost her sense of humour. As her life narrowed she learned to take enjoyment where she could – a cream cake, a bunch of flowers, watching TV, a new top and most of all hugs and kisses from family and friends. I will never regret the time spent with her. She died in April with all her family and friends beside her. And now it’s time to pick up the pieces if I can. Wishing you strength and luck in taking up your writing career again. So sorry for your loss, Linda. Your grief is still raw at the moment but it does loosen its grip over time. Eventually you find somewhere for it all to "sit" in your mind. Wishing you peace and strength. Linda, thank you for this moving piece. It is such a brave acknowledgement of all those nine long years of caring took from you and also, at times, gave to you too. Wishing you much joy, renewed ease and energy and every success in your writing. Welcome back! I'm sure you are telling the story of many writers who have had to put their careers on hold. Thank you for sharing and hope that calm times now will bring you new energy. Don't rush your return. Give yourself time. A very moving piece. I hope you’ll soon find that the writing comes back - but I should think you may need to take some time to just smell the roses and feel the sunshine. I send you my very best wishes and sympathy for your loss. I do know that feeling of numbness in caring - last year ended 9 years of caring, when my dad died, but I cared for my mum for 5 years before she died in 2014 and that was the most intense period. You write so well about the stress, and I have found that stress takes its toll and you definitely need to take time and be very kind to yourself. Pick up the pieces, but now don't put yourself under too much pressure to make up for lost time too soon - I think I went into work overdrive after mum died and I should have had more time off. All your thoughts and feelings will still be there to pour into your writing - they won't go away, so don't worry. The numbness will go, but you need time after this, as so many others have said. Such a moving post - thank you. As others have said, don't push yourself too hard too soon now - it's a time for nurturing yourself and moving gently into the next phase of your family and writing life. How generous and how loving,Lynda. Your mum was obviously a wonderful woman to leave you with such a wealth of kindness. Now, please be sure to give much of that kindness to yourself. Have just returned from holiday in Scotland with limited wifi access . Thank you all so much for your comments , encouragement and sharing of your own experience it means a lot! Thank you for all your lovely comments , advice and encouragement - they mean a lot!